Exposure to chemical pollution can cause significant damage to plants by imposing conditions of oxidative stress. Plants combat oxidative stress by inducing antioxidant metabolites, enzymatic scavengers of activated oxygen and heat shock proteins. The accumulation of these proteins, in particular heat shock protein 70 and heme oxygenase, is correlated with the acquisition of thermal and chemical adaptations and protection against oxidative stress. In this study, we used Pinus pinaster Ait. collected in the areas of Priolo and Aci Castello representing sites with elevated pollution and reference conditions, respectively. 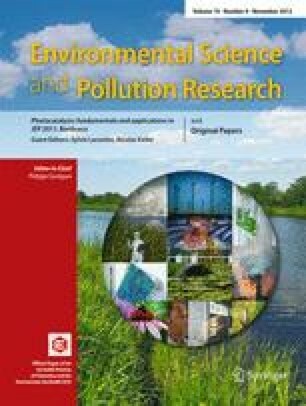 The presence of heavy metals and the levels of markers of oxidative stress (lipid hydroperoxide levels, thiol groups, superoxide dismutase activity and expression of heat shock protein 70, heme oxygenase and superoxide dismutase) were evaluated, and we measured in field-collected needles the response to environmental pollution. P. pinaster Ait. collected from a site characterized by industrial pollution including heavy metals had elevated stress response as indicated by significantly elevated lipid hydroperoxide levels and decreased thiol groups. In particular, we observed that following a chronic chemical exposure, P. pinaster Ait. showed significantly increased expression of heat shock protein 70, heme oxygenase and superoxide dismutase. This increased expression may have protective effects against oxidative stress and represents an adaptative cellular defence mechanism. These results suggest that evaluation of heme oxygenase, heat shock protein 70 and superoxide dismutase expression in P. pinaster Ait. could represent a useful tool for monitoring environmental contamination of a region and to better understand mechanisms involved in plant defence and stress tolerance. The authors thank Dr. Mike Wilkinson for proofreading the manuscript. This work was financed through grants by MURST (Ministero dell’Università e della Ricerca Scientifica e Tecnologica), Italy.